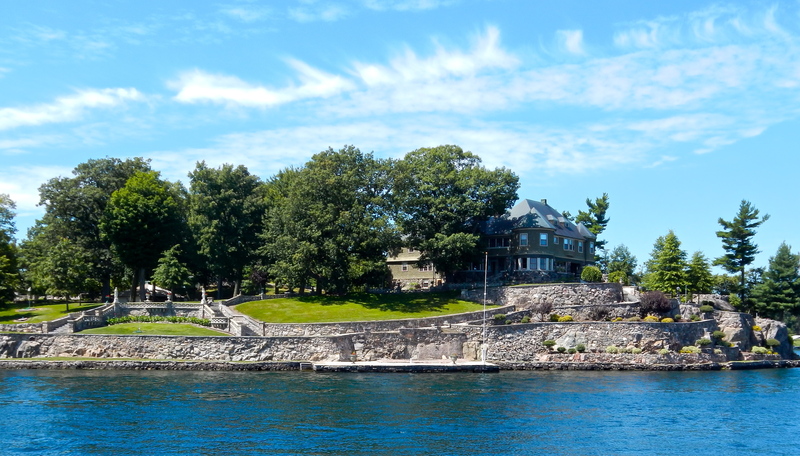 For history on Alexandria Bay, New York, Click here. 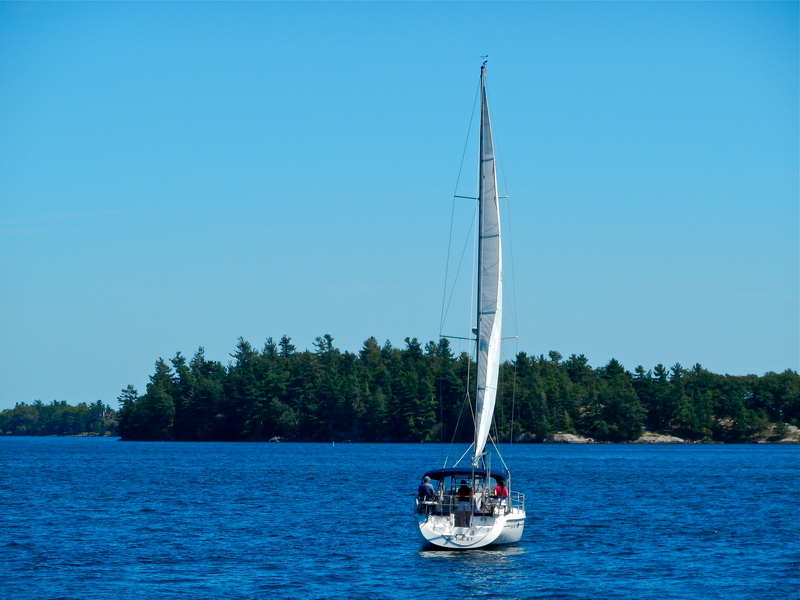 Sailboat in the St. Lawrence River (Canadian waters). 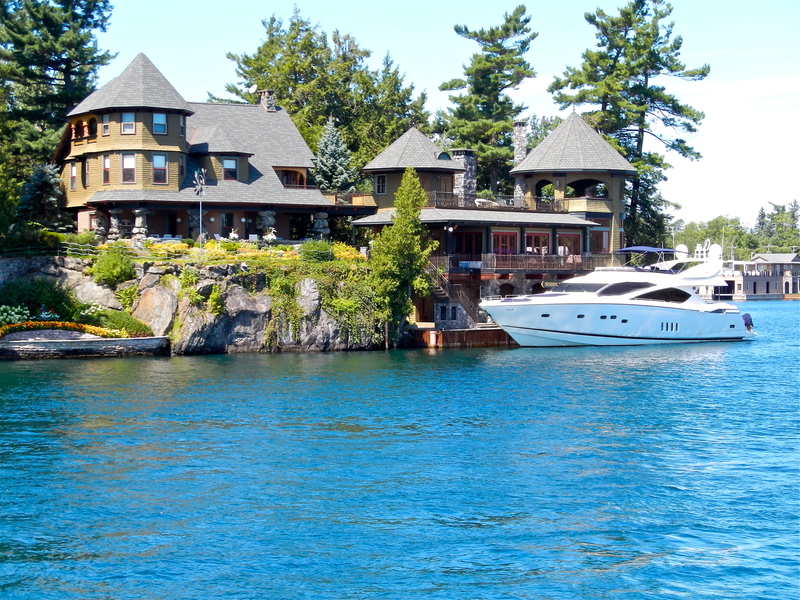 Alexandria Bay mansion and yacht. 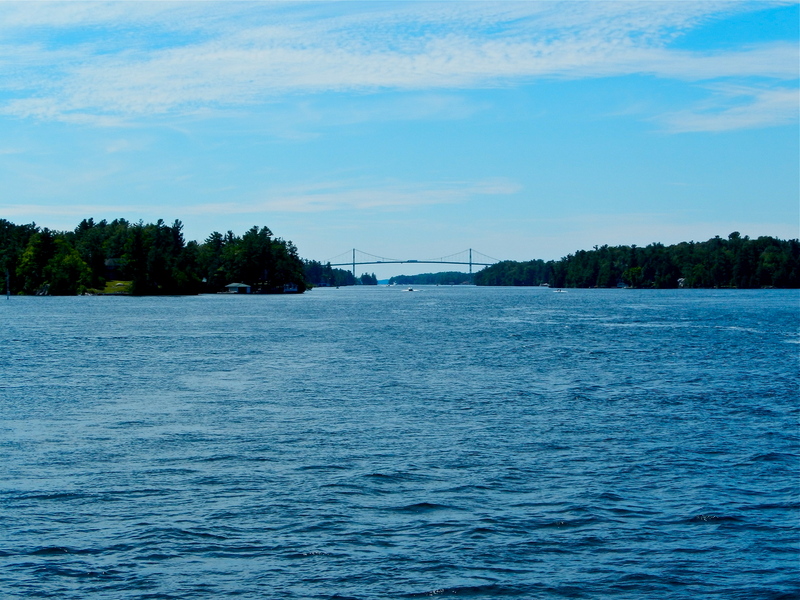 Bridge from Hill Island, Ontario to mainland Canada. 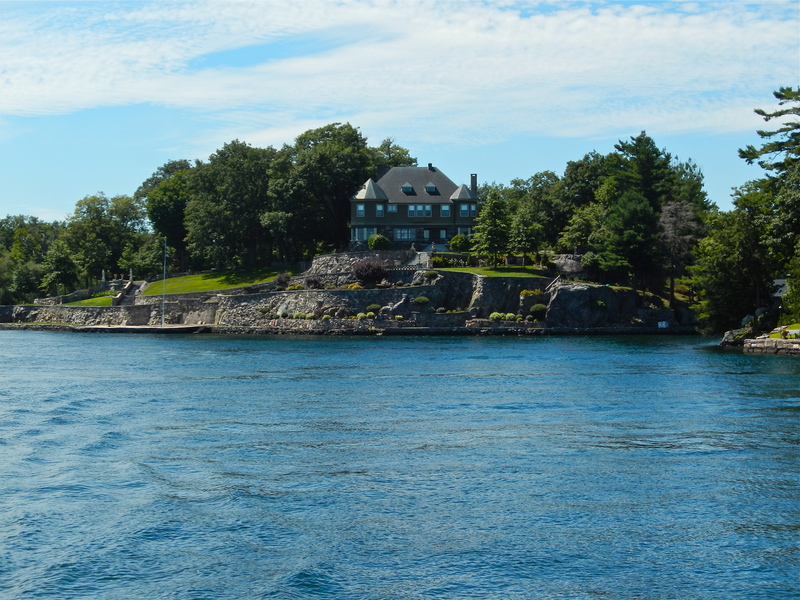 Wellesley Island on the American side of the border. 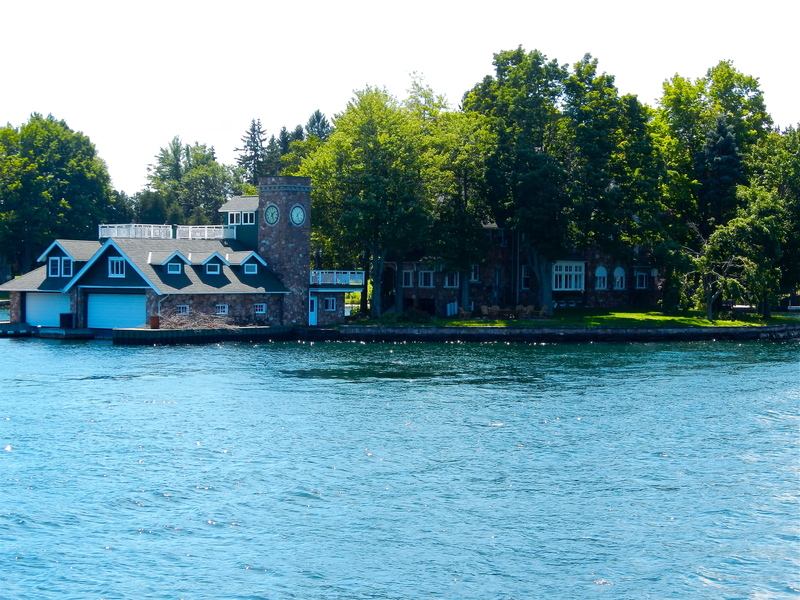 Beautiful Alexandria Bay home with attached parking for boats. 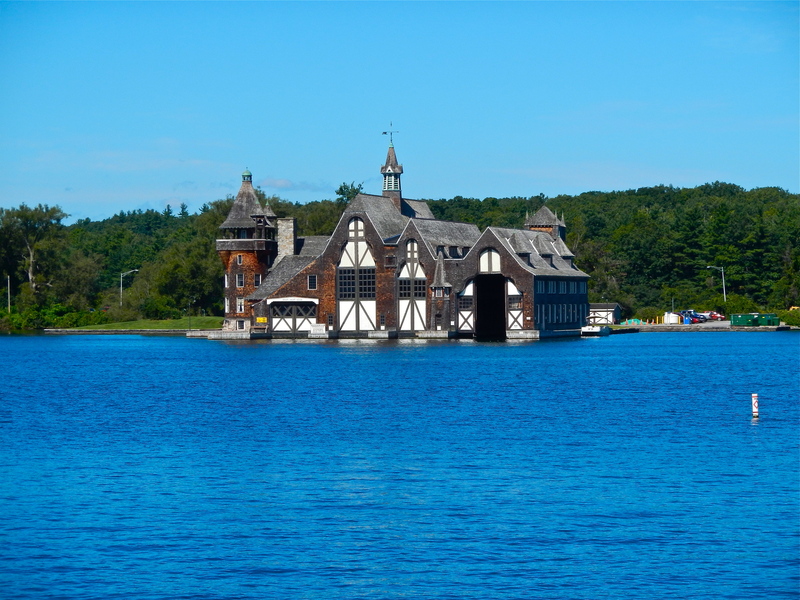 Former mansion of Abraham Abraham of Abraham and Strauss Department Stores. 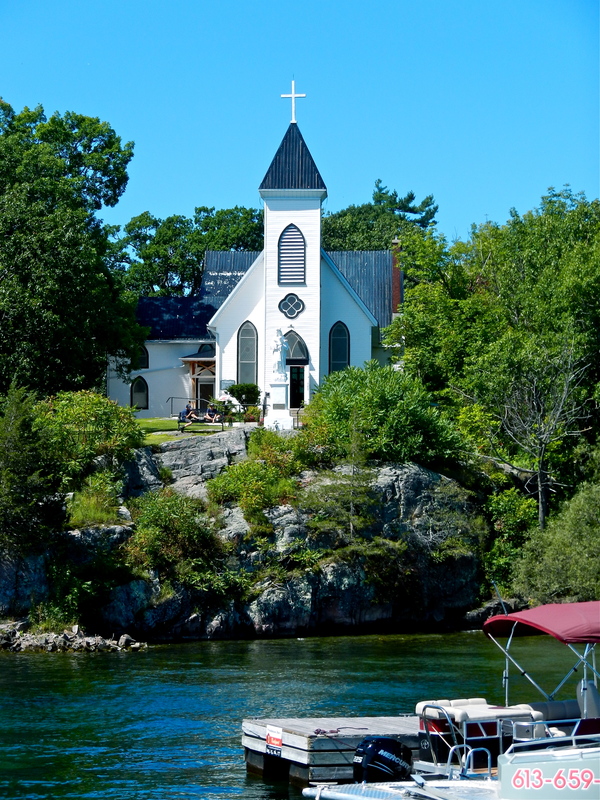 Rockport church on Canadian side of the St. Lawrence River. 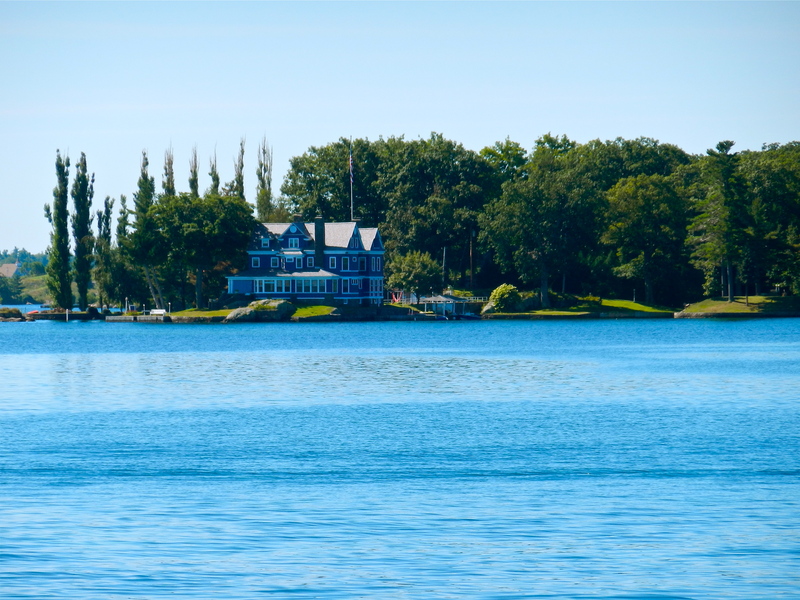 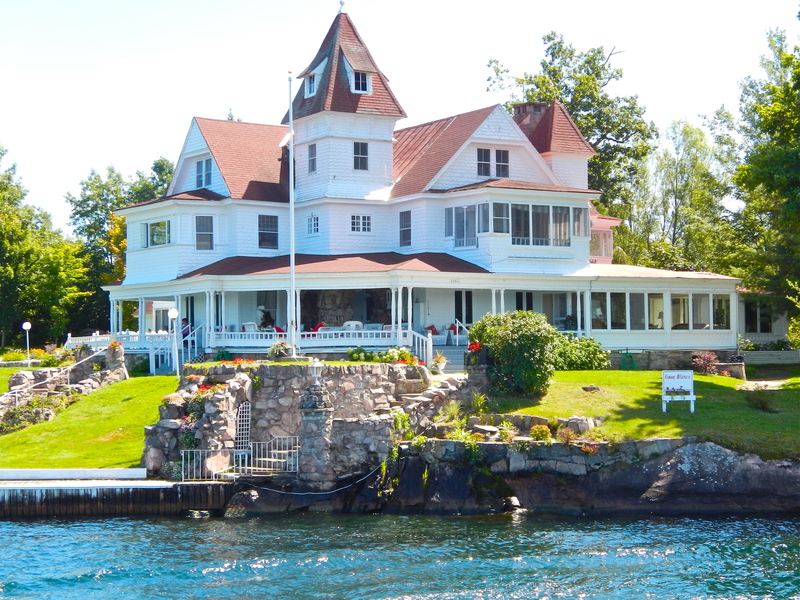 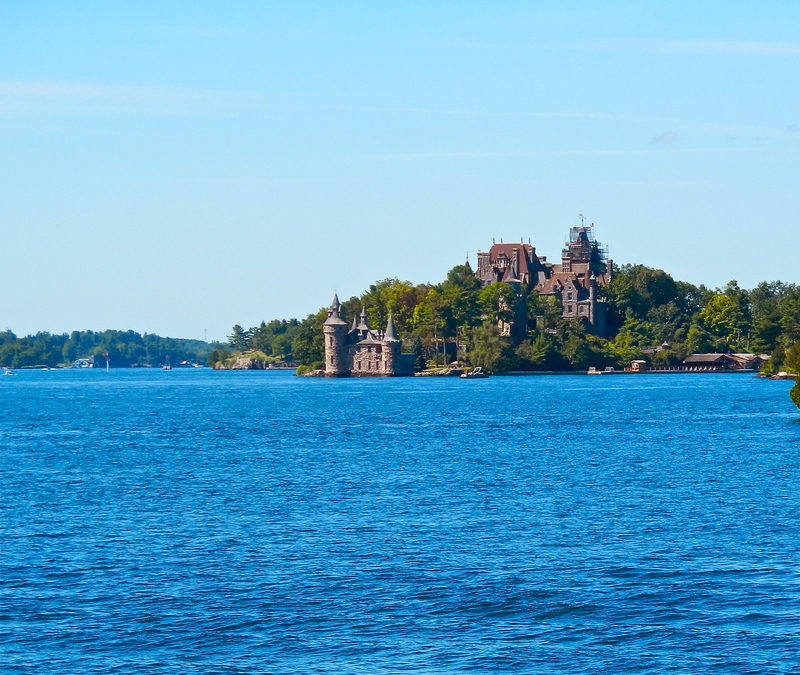 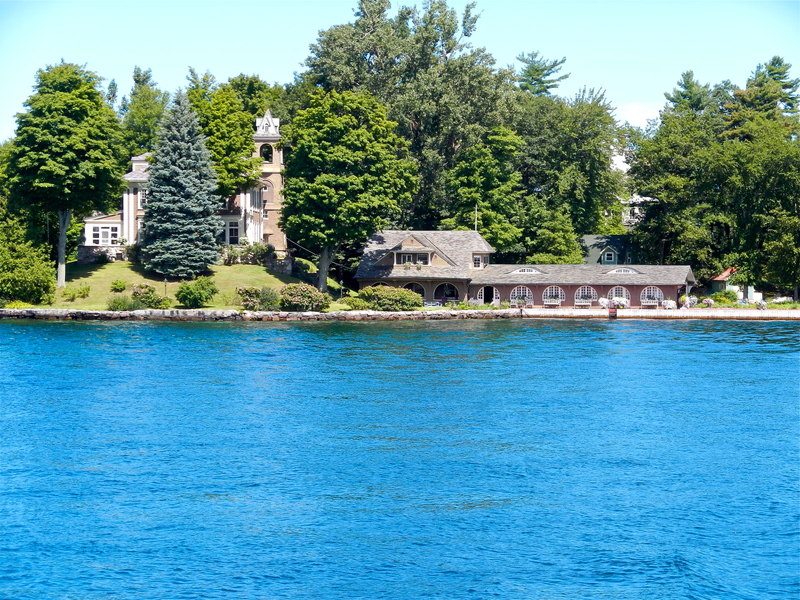 Historic home on the St. Lawrence River. 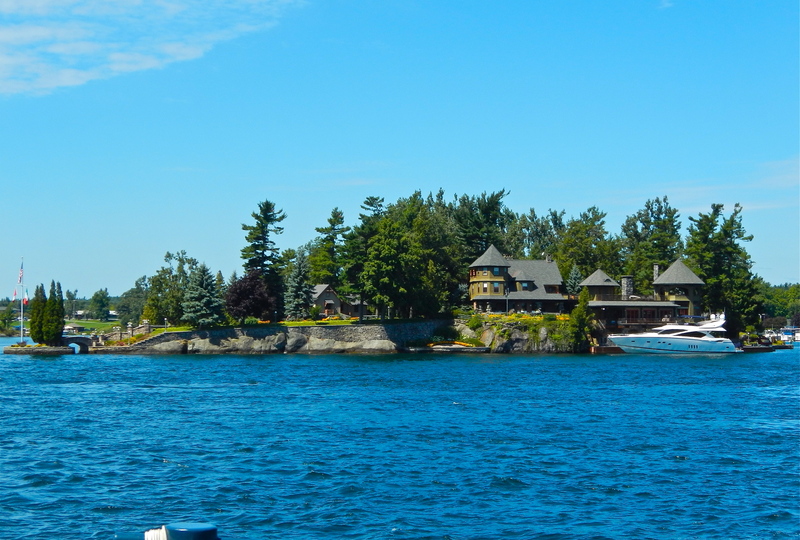 Full property of Alexandria Bay estate. 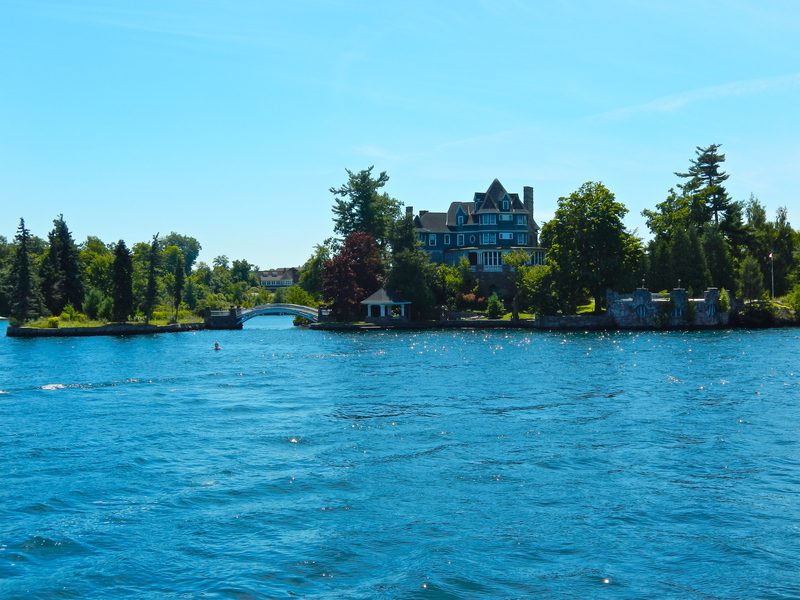 Smallest international bridge in North America. 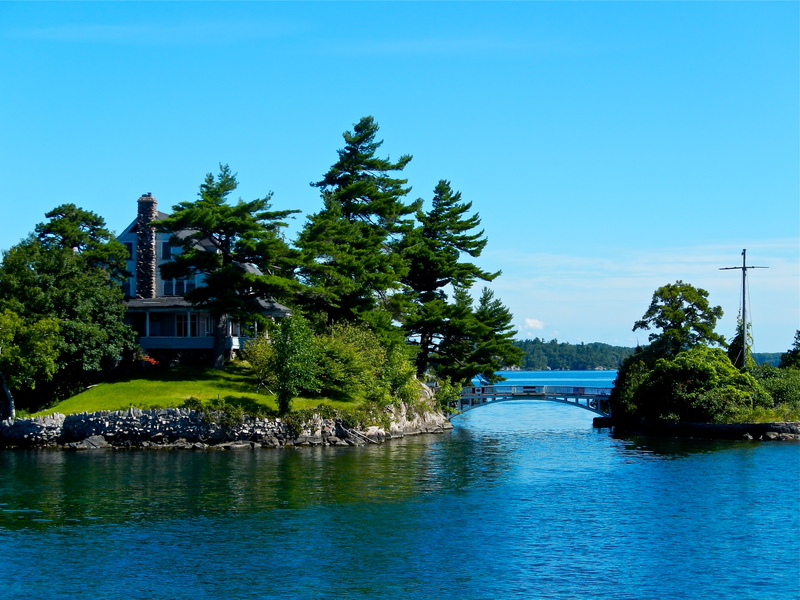 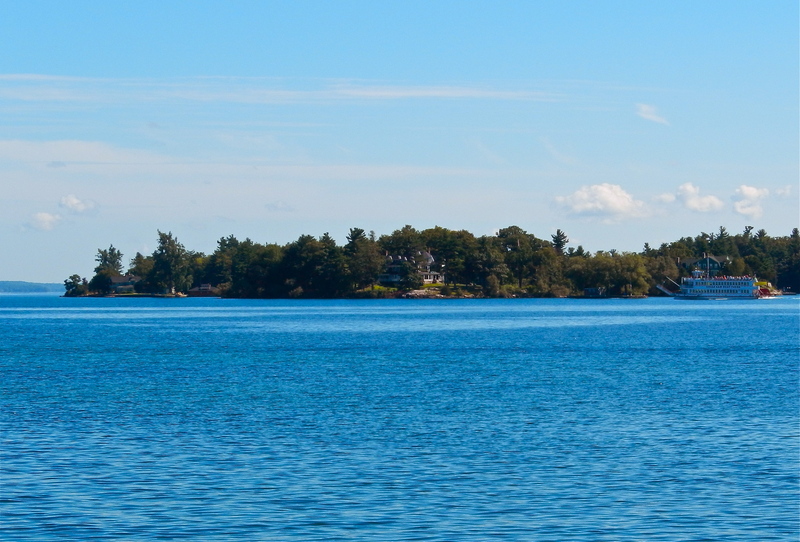 The house sits on a Canadian island and the bridge takes you to a small American island. 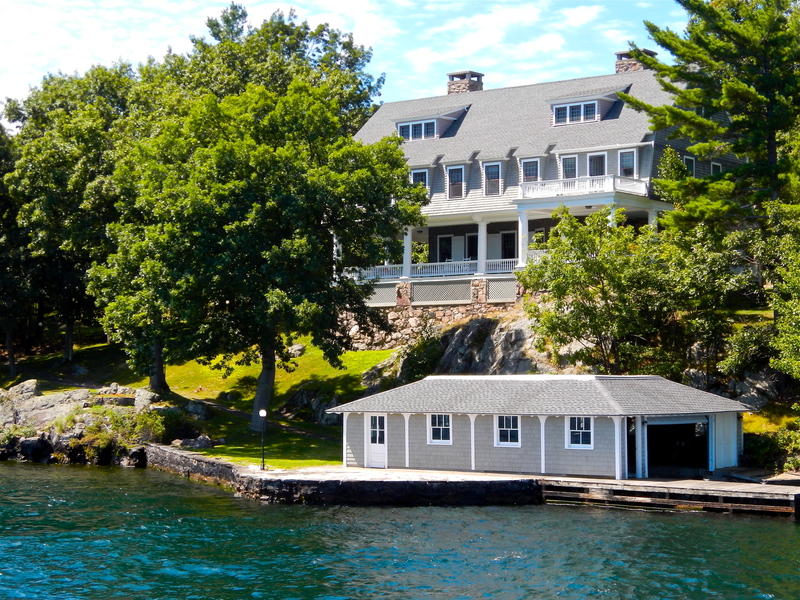 American estate with tour ship passing.